Fish shack by the sea where salmon, trout, sea bass, red snapper and ahi are grilled over mesquite. : Founder Aharon Klein has expanded his empire of Fish Grills to this beachside location along Pacific Coast Highway in Malibu. 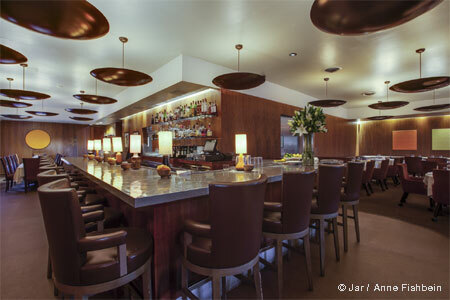 Bustling and super-casual, the scene is reminiscent of shoreline chowder houses from Cape Cod to Monterey. Everything is grilled over mesquite in the open kitchen just behind the cash register. 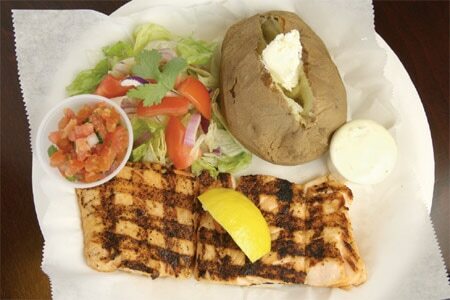 Salmon, trout, red snapper, ahi and sea bass, plus fish ‘n’ chips, pasta and fish tacos are offered. Fish Grill is strictly kosher, to the delight of the local orthodox Jewish community (but sorry, no catfish or shellfish). The place has a kitschy maritime décor with wall-mounted yellowtail, lifesavers and buoys to get folks into the mood. Other locations.